Members of the poetry world are aghast at a recently published ‘Independent Review of Support for Publishing and Literature in Wales’. It’s a long document (over 200 pages) but there’s one section in which Ty Newydd, the National Writing Centre of Wales, comes under fire for being allegedly out of touch with its market and being in need of better leadership. I heard about it after John Foggin tweeted a link to Kim Moore’s blog post in which she defends Ty Newydd, both from a personal standpoint and generally. It’s a great post, if you haven’t already seen it. I wanted to just add my own thoughts, but I won’t go into all the details as Kim covers it all and argues her points with passion. There’s also a link to the report in Kim’s post. The gist of the offending sections is that Ty Newydd, in running creative writing residential courses, is catering to people with no literary ambition and probably no talent, and what’s more nobody ‘in the digital age’ wants these kinds of courses anyway. I couldn’t help feeling that quite a few things in the report were under-researched and ill-informed. Glossing over details, using loaded phrases such as ‘retired hobbyists’, inserting lazy generalisations…not what one would expect from an ‘independent’ inquiry. Of course I bristled at the phrase ‘retired hobbyists’ for all the predictable reasons, and the statement that nobody wants these kinds of courses especially ‘in the digital age’ was, for me, at best a non sequitur and at worst a comment that can only be born of ignorance. There were a lot of other things that struck me as strange. For example, apart from Seren being listed as one of the consultees, I saw no other mentions of Wales-based indy presses or literary magazines. I also got the feeling that it was considered fine to fund individuals (to finish a book, for example, although – oddly, given the report’s emphasis on publishing books as a meaningful outcome – no mention of books having to be published as a result of the funding) but CW courses are somehow beyond the pale. I’ve only been to one course at Ty Newydd, the Carol Ann Duffy/Gillian Clarke residential, but it had a huge effect on me. Yes, it had its pros and cons, but I benefited enormously from the experience. It was in 2013 (photo above) and funded by the Hamish Canham prize money – I blogged about it here in fact. And lastly, to answer the accusation in the report that ‘probably no-one goes on to publish a book’, on the course with me that week in 2013 were David Borrott (Porthole, smith | doorstop 2015), Anja Konig (Advice for an Only Child, Flipped Eye 2015), Ruby Turok-Squire (The Phantom Fundamental, Lapwing 2017), Ben Rogers (Mackerel Salad, Emma Press 2016), Jenny Lewis (already a poet with a number of published books at the time of the course and since then Taking Mesopotamia was published by Carcanet in 2014), Ian Humphreys (who went on to win the Hamish Canham prize and was selected for the Complete Works III in 2016, Lizzie Fincham (Green Figs & Blue Jazz, Cinnamon 2016) and, well, myself – in fact the course led me directly to starting Telltale Press, which has published first pamphlets by five poets, which also adds to the book count. So if books are what impress you, dear report-writers, put that in your digital inkwell and smoke it. Thanks for this Robin – great to hear your thoughts. And I wish I’d thought of the line ‘put that in your digital inkwell and smoke it’. Robin, I always enjoy reading your blog. 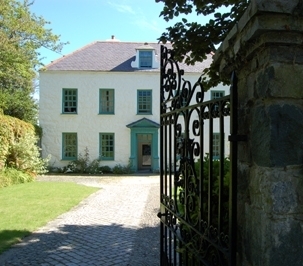 I read about Ty Newydd with interest, having been there twice. Thanks Kim Moore for your thoughtful piece. I don’t use facebook much but have shared this blog today because I felt strongly about it. I commented on writing breaks too. They are precious. Hello Gene and thanks for your kind words and for commenting/sharing. I think a lot of people will be feeling the same way. It would be a shame for Ty Newydd to change, although if it didn’t offer writing breaks I’m not sure what its remit would be instead. Let’s see. Thanks to both Robin and Kim for their comments. 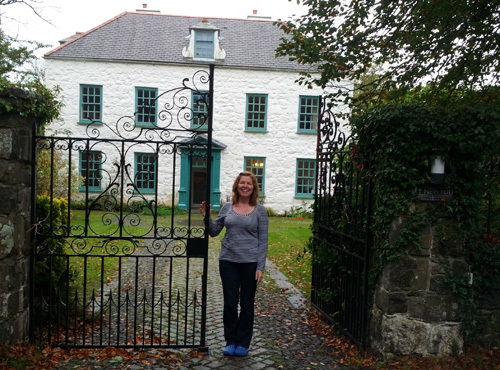 I found Lumb Bank, Totleigh Barton and Ty Newydd invaluable when – in my late twenties and early thirties I wanted to develop my love for and knowledge of contemporary poetry. It’s as a result of what I learned in the residential workshops that I went on to be have work in magazines, to publish a couple of small press collections and to win the Mslexia Poetry Competition. I also began to earn a modest freelance income as a creative writing tutor. I also find the ‘retired hobbyist’ tag extraordinarily ageist. It’s as if it mirrors the publishing industry’s obsession with ‘hot’ new talent – plucked fresh from the latest Creative Writing MA course perhaps? People can find poetry at any age, and one of the finest poets I’ve known personally – the late Dorothy Nimmo – came to poetry in her fifties, and honed her talents at residential writing courses of the kind that Ty Newydd puts on. Hello Sibyl, and thank you for this. What an encouraging story you have. And I agree that one can find (or be open to) poetry at any age. It’ll be interesting to see where this all goes. But I can’t see writing residentials disappearing.